Surendra is a member of the Institute of Chartered Accountants of India, Company Secretary of India and Cost and Management Accountant of India. He is an All India Rank holder Chartered Accountant, Company Secretary and Cost and Management Accountant. 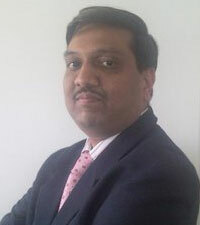 Surendra is a senior banker having more than 25 years of experience in the various fields of Banking. Prior to OMLP2P, he was one of the key members of the core management team of Yes Bank, which he joined in the initial years of its setup. He has also served ICICI Group for more than 12 years in the fields of Investment Banking, Corporate Banking and Treasury functions. Pramod is a member of the Institute of Chartered Accountants of India, Company Secretary of India and Cost and Management Accountant of India. He is an All India Rank holder Chartered Accountant, Company Secretary and Cost and Management Accountant. Pramod is a Senior Finance professional, having more than 25 years of Board level national and international experience with various leading business houses. He has acted as Group CFO for Prism Cement Ltd (Rajan Raheja group), Ashok Piramal Group of companies, Vaibhav Global Limited and others. He is adept in Business Planning & Decision making, Corporate Re-structuring and Business Strategy, Greenfield ventures, Acquisitions, Mergers & Amalgamation. Pramod has successfully turned around many businesses. Mr. M. R. Srinivasan is a Commerce Graduate (B. Com) from Madras University, B.GL from Mumbai University and CAIIB from Indian Institute of Bankers. He has served Reserve Bank of India for 35 Years and retired from RBI serving in the capacity of Chief General Manager in- charge of Department of Banking Operations & Development (RBI). Mr. M. R. Srinivasan has also served as an Executive Director and Banking Advisor to IDBI and was also acted as an IDBI nominee director in IDBI Bank Limited. He has served as Non-Executive & Non-Independent Director of Yes Bank Ltd from October 23, 2012 until October 22, 2016; during his association with Yes Bank he has also played a key role as Non-Executive Part-Time Chairman from June 2013 until June 26, 2014. Mr. Chetan Desai, a Senior Chartered Accountant is the Fellow Member of The Institute of Chartered Accountants of India. 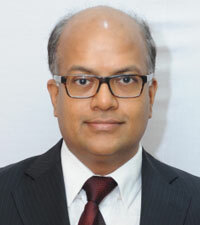 Mr. Desai has served as the Joint Managing Partner of M/s. Haribhakti & Co. LLP, Chartered Accountants for 11 years. 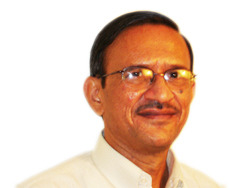 In his professional experience with the Firm of 39 years, he has dealt with numerous multinationals, public sector enterprises, banking and financial enterprises, mutual funds, Companies engaged in the field of manufacturing, services, real estate, hospitality, engineering, energy, infrastructure, etc. He has in-depth knowledge and exposure in the fields of accounting, auditing, Companies Act and related areas, corporate governance, compliance etc. Dr. Nandlal L. Sarda was a Professor in the Department of Computer Science and Engineering at IIT Mumbai (Bombay). He received his Master's (M.Tech.) and PhD degrees from IIT Bombay, and joined as faculty at IIT Bombay, where he is teaching since 1972. He was a Visiting Associate Professor at University of New Brunswick, Canada from 1986 to 1988. He was Head of the Computer Science & Engineering Department at IIT Bombay from 1994 to 1997. 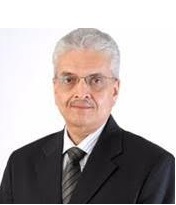 He was Head of Shailesh J. Mehta School of Management from Aug. 2006 till Feb. 2007. He continued at IIT Bombay as Emeritus Fellow until April 2018 after his super-annuation in June 2013. 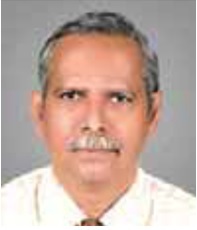 He is presently a Visiting Professor in Computer Sci and Eng Department at IIT Dharwad. His main research interests are in the areas of Database Systems and Software Engineering. He has published widely in international journals and conferences. He has focused in the last few years on the research issues in Database Modeling, Geo-spatial and Temporal databases, data warehousing (that includes metadata integration from multiple sources), and ontology-based schema integration. He has participated in many national and international conferences in the capacity of Programme Committee chair/member, invited speaker, etc. He was the Programme Co-chair of VLDB'96, a premier international database conference, which was held in Mumbai in 1996. He has also served on the editorial board of a few international journals. He was honoured as Fellow of Computer Society of India at its convention in November 2006 for his sustained contributions to CSI's activities. He is closely associated with many companies and government institutions as a consultant, offering advice in planning, selection, implementation and evaluation of information technology solutions. He is on Technical Advisory committees of National Payments Corporation of India (NPCI), NSE (National Stock Exchange), NSDL, and CCIL among others. He served as Director on the Board of Directors of Union Bank of India, a large public sector Bank from June 2003 to June 2009, and Andhra Bank from 2011 to 2014. He was also Director on the Boards of Clearing Corporation of India, and continues to be on the Boards of Ujjivan Small Finance Bank, Cybertech Systems and Software Ltd and eMudhra Ltd.